The paper "Demand for second-stage land certification in Ethiopia: Evidence from household panel data" written by Sosina Bezu and Stein T. Holden has been published in the international journal Land Use Policy. The paper is published as a New Journal Paper and can be downloaded here. Ethiopia has implemented one of the largest, fastest and least expensive land registration and certification reforms in Africa. While there is evidence that this first-stage’ land registration has had positive effects in terms of increased investment, land productivity and land rental market activities, the government is now piloting another round of land registration and certification that involves technically advanced land survey methods and computer registration. This ‘second-stage’ land registration differs from the registration system employed in the first round that used field markings in conjunction with neighbors’ recollections to identify plot borders. We use panel data from 600 households in southern Ethiopia to investigate household perceptions of and demand for such a new registration and certification. Our study revealed relatively low demand and willingness-to-pay (WTP) for second-stage certificates. The WTP also decreases significantly from 2007 to 2012. Our findings indicate that farmers do not believe that the second-stage certificate enhances tenure security relative to the first-stage certificate except in instances in which first-stage certification was poorly implemented. The demand for second-stage certificates appears to come primarily from governmental authorities, as it can provide a better basis for land administration and produce accessible public documentation of land-related affairs. Sosina Bezu and Stein Holden (2014). 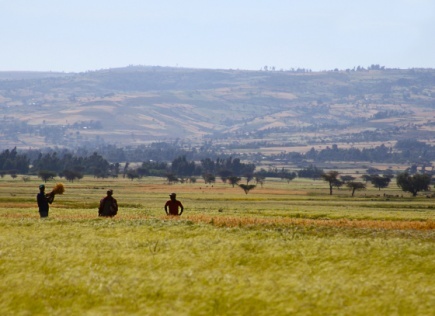 Demand for second-stage land certification in Ethiopia: Evidence from household panel data. Land Use Policy. Vol. 41, pp. 193–205.